I imagine that it can be difficult to sell big-idea hard-science-fiction books. How do you elevator-pitch a story about the virus that may have been the catalyst to turn humanity from people living in caves to the society we know today? If you’re author Josh Pryor, you do it by adding a trip to Antarctica, a little cannibalism, some commandos who do CSI, and a whole cast of unsympathetic (or, at least, unlikeable) characters. 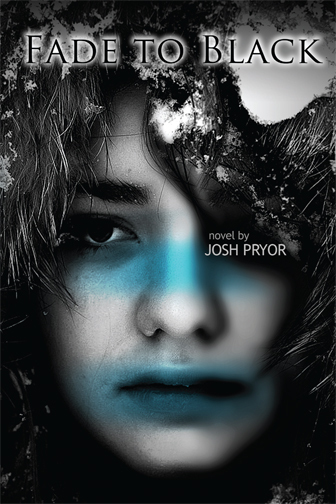 In Pryor’s Fade to Black, the story shifts back and forth between the two main characters: Ethan Hatcher, who commissioned a research mission to Antarctica to study hydrothermal vents, and Claire Matthews, a community college science professor with a whole host of psychiatric issues and a rather novel theory on the disease that killed a Russian expedition almost 30 years ago. Oh, and the two of them used to sleep together, just to add a little extra tension. Ethan and Claire, along with a team of the military’s finest CSI guys and a couple of civilian contractors, are sent to Antarctica to figure out what happened to the rest of Ethan’s team. What they find horrifies even the hardiest of men — and Ethan definitely isn’t one of those. It’s the disease Claire’s based her publications on..
Outside of the big science ideas, the early section with Alan and his team, and some of the The Abyss-like expedition sequences (albeit on the ice shelves of Antarctica instead of hundreds of fathoms deep), I had a lot of trouble liking Fade to Black. While the main characters were extremely well-rounded, they seemed to me to be almost too detailed — we learned literally everything about Ethan and Claire in a series of infodumps that really turned me off to the characters. Ethan was supposed to be unsympathetic, but to my surprise, I really disliked Claire as well. I think that’s because there were too many “damaged female character” tropes crammed into this one person. It allowed her to have internal monologues full of fretting and fear, but those monologues just kept… on… going. Even through the climax of the book. Meanwhile, the military team seemed a bit too caricature-y for me — they each had one or two distinguishing characteristics, and seen through Claire’s eyes we got a very Anita Blake-esque rundown of their physical features, but in the end I was again seeing a bunch of smart, capable military guys that were pretty much interchangeable. The same with the Russians — and the trope was taken one step further by having their base be kind of a dump while the American base was neat and tidy. But of course Ethan was boinking the one woman on the Russian crew, just to cement his status (established earlier) as the kind of guy who does that sort of thing. We did get Sergeant Price, who was the best-written of all the secondary characters, but even with that his behavior seemed a little too forced, as if to keep telling us that he’s super-studly-soldier-guy. Fade to Black is a short book — my reader put it at 248 pages, including cover, copyright, and whatever you call those blank pages at the end — but it’s densely packed with descriptions, science, and internal monologues. I definitely got a feel for the locations where the action took place, and the frozen hell of Antarctica was quite capably written, with the right amount of mood and reaction. But the characters were either too full of tropes or too full of details that I really could’ve lived without, and the hero of the book was someone I just didn’t like. Not that I absolutely need to like the hero/protagonist, but I was actively disgusted by a lot of her characteristics and all of her whining. Look, I understand a lot of bad stuff happened to her and she’s reacting to that, but I don’t know that we needed her to have that much stuff in her past. The problems with her parents (together and separate), the history with Ethan, the issues with Eric… it was just too much. And speaking of Eric, the last time he appeared in the book, I was completely stymied as to exactly what had happened, even though I went back and read it three or four times. I will say that the book ends in the best tradition of “the surviving good guys are rescued from a bad situation, but then *dramatic musical sting!!!!!!! *”, although to me it felt a tad abrupt. If you like science, CSI, stories that take place in Antarctica, or lots-of-people-crammed-into-a-small-space-slowly-going-mad, then you’ll enjoy Fade to Black. Those really aren’t my preferred genres, though (except for the science part), and I felt there were too many other issues with the book — most notably the unsympathetically-annoying main character that we were all supposed to like — for me to say I really enjoyed it. I could have overlooked one or two, but not all of them. Special thanks to Red Hen Press, the novel’s publisher, for providing a review copy.